Learn more about Sentricon installation, monitoring, and FAQs. Routine termite control attempts a blocking method — applying up to hundreds of gallons of insecticide into the soil to create a barrier around the home to either repel or kill termites as they try to get to the wood in the home. The better way to protect a home is to simply eliminate the termite problem altogether by using a baiting system. Used by a trained Certified Sentricon Specialist®, the Sentricon System enlists the foraging “worker” termites to carry bait material back to the termite colony as food for their nestmates, which then eliminates the entire colony, including the termite queen, who can produce millions of termites over her life span. A series of Sentricon System stations, usually placed about 10 feet apart, contain enough bait to control multiple termite colonies. Sentricon is the No. 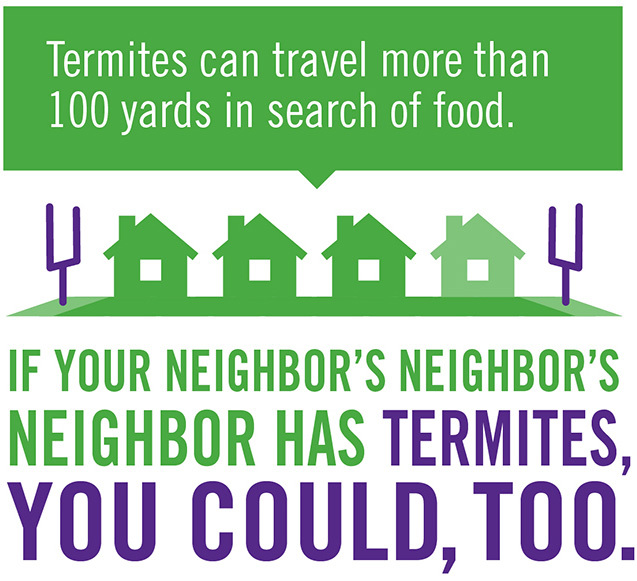 1 brand in termite protection — because it’s the most ideal solution. In 1995, it was the first available baiting system and is the only one that eliminates the termite threat at the source. Today, the Sentricon System continues to lead the way with technology innovations and service advancements that make it the solution you can trust. Why? We have protected more than 3 million structures. The Sentricon System can be used on virtually any structure to protect it against termites. National treasures, sensitive sites, homes, skyscrapers, you name it. Sentricon® is in place protecting property from coast to coast and in Hawaii. Our termite professionals undergo special training like no other. Homeowners appreciate that Sentricon is available only through qualified Certified Sentricon Specialists™, ensuring them of expertise and quality assurance. Certified Sentricon Specialists receive ongoing training, education and support from Sentricon to keep them the leaders in termite protection.